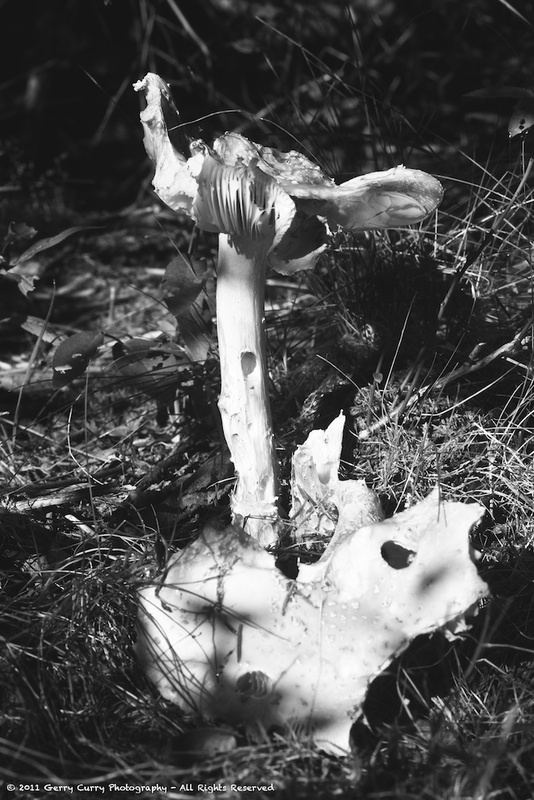 Chewed, crumbling and disintegrating, this large mushroom is a metaphor for the end of summer and the first cool days of what is hoped to be an other long, glorious autumn in Nova Scotia. Sony A-900 – Tamron 90mm – f 2.8 – Macro – ISO 200 – f19 – 1/90. This entry was posted in Mushrooms, Woodlot and tagged fungus, landscape, nova scotia, Woodlot, Yarmouth county. Bookmark the permalink.